1. Bike-to-work day rides invariably happen at times that allow only those who actually aren't working to attend. 8:30 am on a Wednesday? I'm on campus in Irvine by that time, having left my apartment at the ungodly hour of 6:20 am. How about a bike-to-work ride that starts early enough to accommodate actually getting to work? 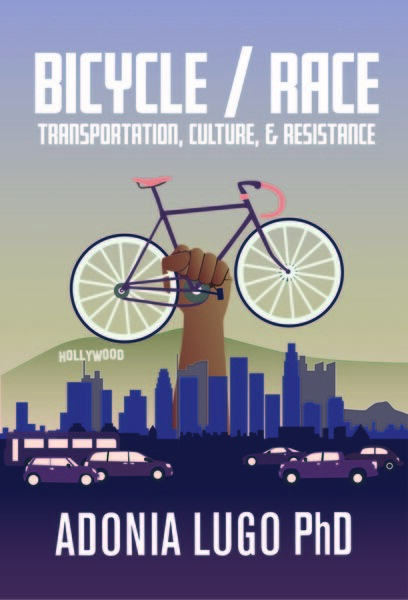 Anyway, LACBC and Metro are sponsoring a Bike-to-Work Ride on Wednesday, May 13, and I think I might have to miss class to go. What kind of people will attend? Roadies? Fixies? Latino cyclists? 2. I just looked at this page which gives yet another list of the world's most bike-friendly cities. Though the ethnocentric choice to feature the categories of Europe, North America, and the Rest of the World is certainly indicative of a limited perspective, the website is good-looking. However, Bogotá does not live up to its reputation as a bike-friendly city. Don't believe the hype! Or, do believe the hype, but be willing to actually buy a bike when you visit because you won't be able to rent one! Also, you might be the only one riding on the ciclorrutas (bike paths; one is pictured above in the Centro Internacional district of Bogotá). In the rain. 3. Digging around on my favorite academic database (JSTOR), I found an article from 1952 on "The Sociology of the Bicycle," by Sidney Aronson (Social Forces 30:3). He writes about early bike culture and the conflicts between bicyclists, pedestrians, and policemen. Guess what, we're re-enacting a battle that happened long ago: when 20 year old boys whip between cars while wearing headphones and American Apparel t-shirts they're basically acting in the same defiant spirit that infected the first urban cyclists. In fact, the League of American Wheelmen (now League of American Bicyclists) laid the foundations for the signage and infrastructure that turned into the U.S. highway system, and bike workshops were the fertile ground needed for the development of flight and automotive technology. Let's take it all back! Our hundred year car mistake needs to be proclaimed over and done with.